Our fudge is made fresh with real butter and cream. You will taste the difference the first time you try it! 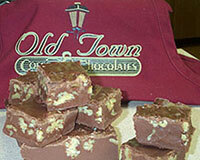 Our fresh fudge is $3.25 per quarter pound. 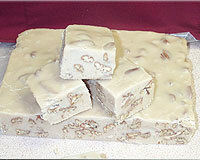 Place your fudge order by clicking on the "Shop Online" button above and go to fudge. 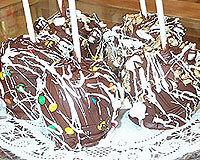 We also offer fancy fudge-dipped and caramel-dipped apples. We have a fudge fundraising program for nonprofit groups. Check out our fundraising page for more information.